What products should I start with? First off, Welcome to Bombshell Bath Company! We are always happy to answer any questions you may have through our Contact Us tab. In a first time order we recommend our Norisshe Lip Balm, Fresh Face Detox soap, Honey Oat soap, a lotion and one of our Eco Soap bags. Would you like to carry our products in your store? Contact us! We are always looking to expand. Shipping within the US is free over $75.00! USPS Priority Mail shipping on orders under $75.00 is $8.50. Items are shipped 3 to 5 business days after purchase. Free Local delivery is offered in Tri-Cities Washington. How is the soap scented? We only use the highest quality essential oils and natural herbs to create all of our wonderful scents. Soap should be allowed to dry completely between uses. Please do not store your soap in the Eco bag. We offer wooden soap dishes made with cedar; naked wood, no chemical finish. These dishes allow excess moisture and water to drain off the bar of soap. Which soap is best for my Eczema, Dry Skin or Psoriasis? We always recommend our Naked Goat soap first for people who suffer from any of these conditions! Naked Goat is pure goats milk soap, no added oils or coloring. Many of our customers have found, once the skin has healed they are able to move onto our scented soaps. Which soap is best for my baby? Honey Oat! Honey oat contains colloidal oatmeal, oats, oil of cassis, vanilla, chamomile and honey. 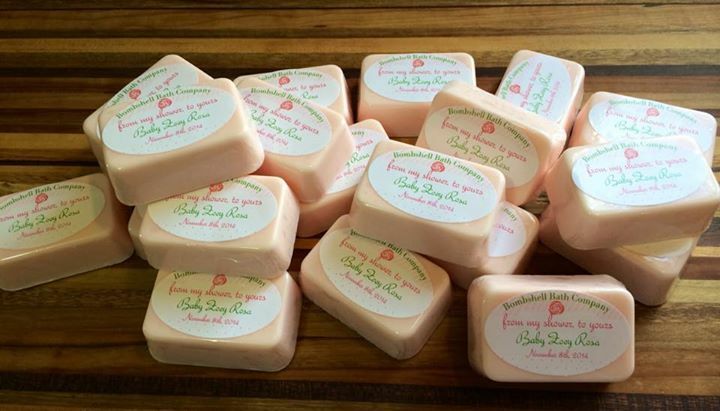 An excellent soap for babies, we even recommend this soap for newborn baby skin. You may also use Naked Goat. What are the best products for my face? Bombshell Bath offers an entire skincare line, if you need some help setting up the perfect skincare routine contact us for help. If you don't have skin issues or if your skin is sensitive we recommend Moroccan Rose Soap. This soap uses Moroccan red clay which detoxifies your skin and removes impurities. If you are prone to acne our Fresh Face Three Step Set is fantastic. The set includes a detoxifying cleanser, toner and moisturizer. Each step is also sold separately. Do you offer gift certificates or gift baskets? We sure do! If you are looking for the perfect gift for that special someone we would be happy to create a custom basket just for them. If you are looking for a gift certificate or a gift basket please contact us. Most popular gift baskets include: New Baby, New Mother, Birthday, Mother's Day, Teacher Gifts and so much more! We have had the pleasure to create baby shower favors for many of our customers. 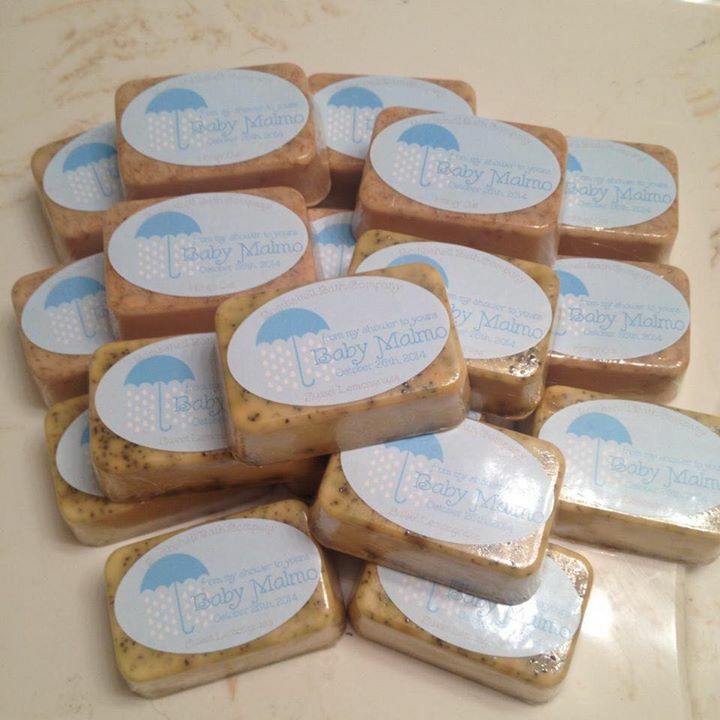 Our "from my shower, to yours" soaps are completely customized to each order. We will create a special label and you may pick a scent, honey oat is the most popular. We have also created wedding favors and birthday party favors. If interested in a custom order please contact us.